The ambience and warmth of wood is aesthetically pleasing, and is not easily matched by other building materials. Wooden homes have become very popular, not only as vacation homes, but permanent residences for those looking for the ultimate in luxury, comfort, spaciousness and light. Wooden houses are globally tried, tested and proven methods for centuries and are prevalent in all advanced countries. ECOZY Wooden homes are involved in project right from the clients vision to the last fitting. We use a vast variety of finishes and polishes to give that rich look at the same time clients input and preferences are taken into account every step of the way. Whatever the need, whether contemporary or old fashioned, our finishing are of the highest quality throughout our houses. We undertake complete contracts from your own ideas to the drawing up of plans. ECOZY Wooden homes offer viable alternatives to permanent structures in many ways as it is comparatively cheaper in terms of cost compared with the spiralling prices of cement and steel. We build high quality customised and standard wooden houses and we never compromise on the quality. Our homes are built with the sole purpose to reduce the damage done to the ozone layer and curb global warming providing a clean, green and enviornment friendly, healthy eco housing solutions. our homes are durable and are built to last for a long time as it is vibration resistant; hence there is no fear of cracks developing in the walls unlike concrete structures. All our homes are termite proof treated, water proof and are well suited for extreme hot humid climate too and can withstand heavy rains, extreme windy condition and extreme summer temperatures, so they not only are well insulated but also have greater thermal performance (almost 12 times more insulating then concrete) adding significant energy savings value to almost 33% compared to conventional structures.Further more, the maintenance cost of wooden homes is very minimal compared to traditional concrete homes. 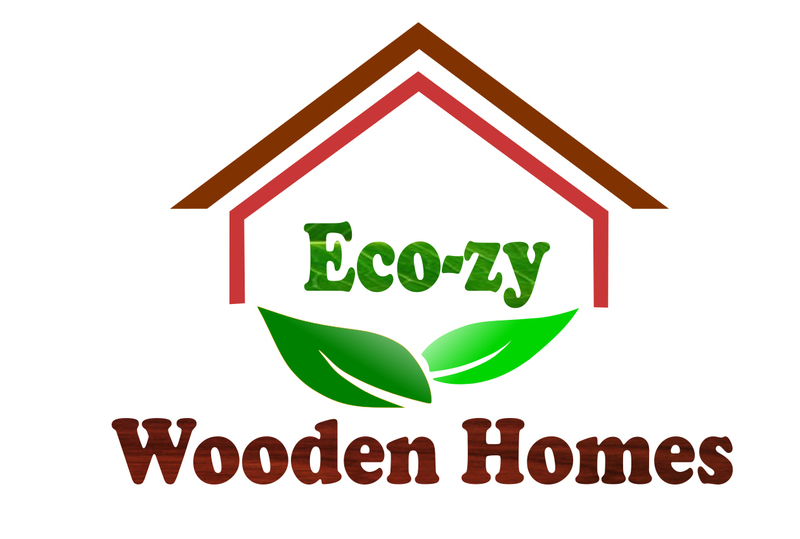 ECOZY wooden homes gives u a healthy living enviornment as wood reduces humidity levels in homes during wet n damp conditions especially during monsoon season, and utilise the moisture during dry conditions especially in hot summers. 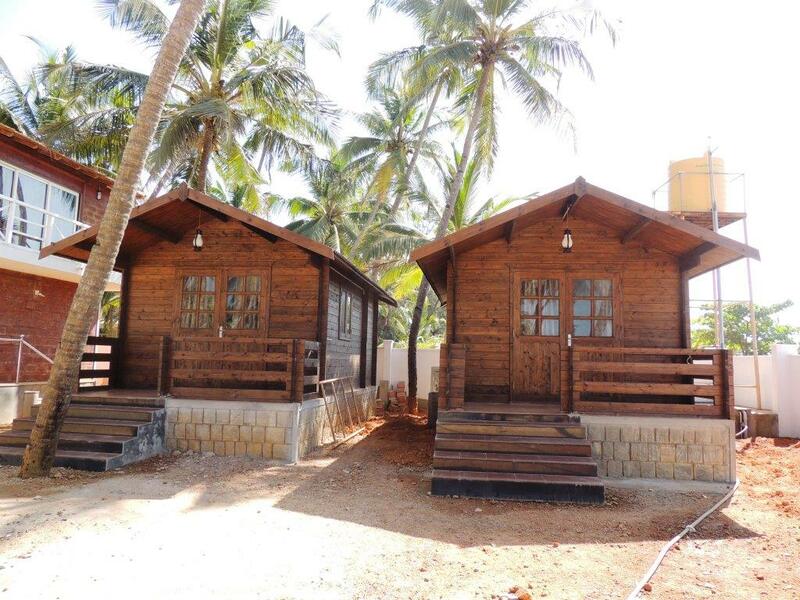 Our wooden homes gives you that soothing and stress relieving feeling, are luxurious, aesthetically pleasing, and elegant making it the best option for farm houses, out houses, eco resorts, beach houses, eco tourism, big or small residential homes, gazebos, hotel cottages, kennels,onsite offices, security cabins, etc. the construction time of wooden homes is unbelievable compared to traditional homes. A basic wooden home can be up and ready for residing in matter of 5-10 days depending on the size. And the same can be dismantled, relocated and reused unlike conventional homes.